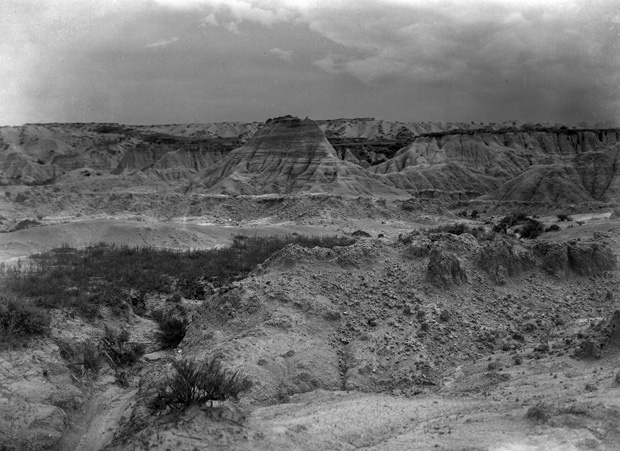 Prairie Dog Creek badlands, Sioux County, NE, June 1911. UNL 32301-00317 (left). Frank Shoemaker was a man who loved observing the untamed beauty of nature. 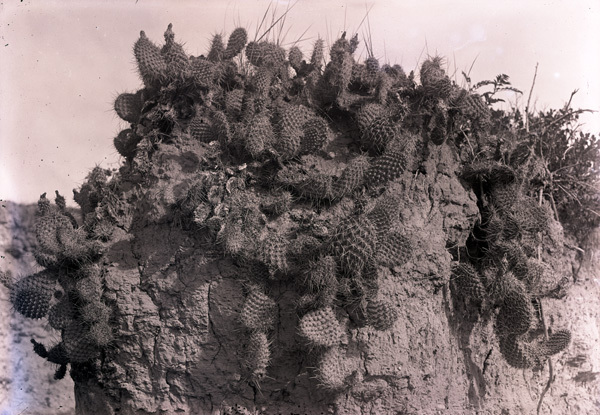 A self-taught naturalist and photographer, Shoemaker’s writings, careful field notes, and photographs are now housed at the University of Nebraska-Lincoln’s archives, providing a valuable record of Nebraska as it appeared 100 years ago. To see the University’s site about Shoemaker, visit http://sandhillsarchive.unl.edu/. 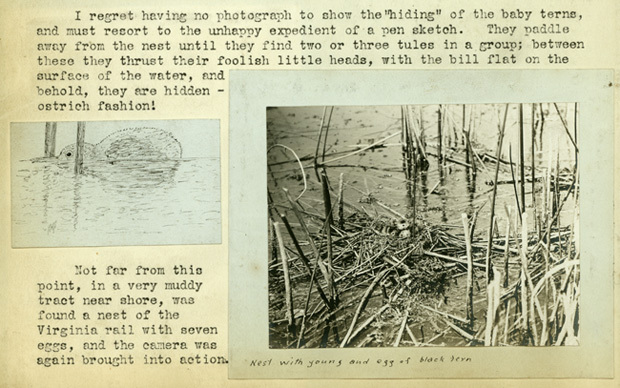 Excerpt from a page of Shoemaker's 1911 field notes, describing Hackberry Lake in Cherry County, NE. UNL SF1911g130015 (right). In the article, authors Mary Ellen Ducey, Elaine Nowick, and Rebecca Bernthal revisit Shoemaker’s work and his beautiful perspective of Nebraska. Born in Iowa, nature fascinated Shoemaker from an early age. As a young man he would study species and habitats in his spare time when he wasn’t working for his father’s newspaper. When he was twenty-two, he moved to live with relatives in Omaha and began working for South Pacific and Union Pacific during the week, and working as a naturalist on Sundays. 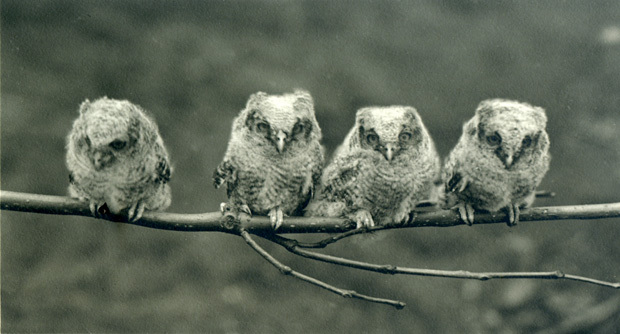 Young screech owls, Lincoln, NE, undated. UNL 32301-00609 (left). Shoemaker traveled extensively, both for his work and for pleasure. Sometimes accompanied by his cousin Elizabeth Van Sant, he would often make excursions in and around Omaha to study wildlife; particularly birds. After buying a camera and teaching himself photography, Shoemaker could record his observations better than ever. He moved to Lincoln where he began doing photography for the University. He also traveled as a photographer with the Nebraska State Historical Society, taking landscape and wildlife pictures all over Nebraska. Hat Creek Valley, Sioux County, NE, undated. UNL 32301-00317 (right). Many of Shoemaker’s photographs show Nebraska’s varied scenery: woodlands, lakes, bluffs, sand hills – a far cry from the “grass only” stereotype. Some capture landscapes that no longer exist. Thanks to Shoemaker’s hard work and his more than three thousand pictures, we have a better understanding of Nebraska’s natural history.